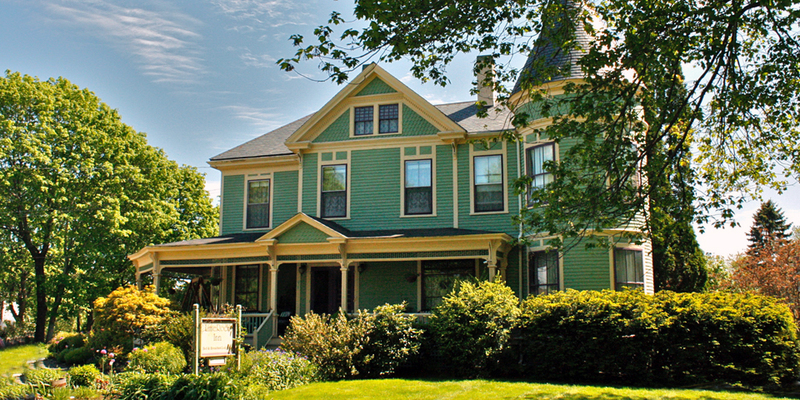 The four Historic Inns of Rockland are unique bed and breakfast accommodations that offer gracious service and outstanding amenities in exceptional historic buildings. All are within walking distance of the historic district’s museums, fine dining, and shopping. Each offers a guest pantry stocked with beverages and snacks, complimentary internet access, flat screen TVs, and a guest computer. In season rates apply mid-June to mid-October, and lower rates are available the rest of the year. A variety of specials and packages offered. You can relax on a swing or rocker on the wraparound porch of the turreted Victorian LimeRock Inn. This Queen Anne mansion on a quiet street was built in 1892 for Congressman Charles E. Littlefield. The large mirror that is in the foyer was a gift from Charles Littlefield to his wife. It is still known to many as the Dr. Lawry’s house for the man who ran his medical practice here for over 50 years. You can still relax on a swing or rocker on the wraparound porch. The interior exudes a comfortable elegance and is decorated in warm colors befitting its architecture. There are eight well-appointed guest rooms with king or queen-sized beds, all with private baths and sumptuous bedding and linens. Innkeepers Frank Isganitis and P.J. Walter are delightful hosts who invite you to step back to a more gracious and leisurely era. Relax in the formal parlor, library, or secret garden, but if you need it, there is also a small business center. The LimeRock Inn has been ranked the #1 Rockland B&B by Trip Advisor and voted was voted “Best Undiscovered Romantic Inn in Maine” by BedandBreakfast.com. 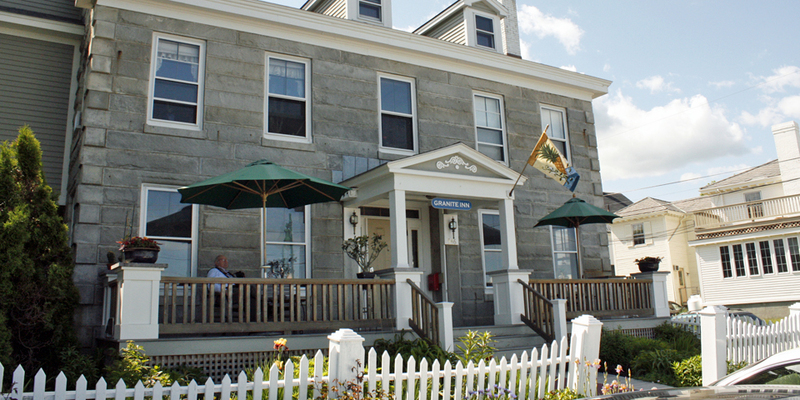 The kid- and pet-friendly Granite Inn on Main Street is a Federal Colonial house overlooking Maine’s second largest harbor. It was built in 1840 from locally quarried stone. In 1920 General Pershing spoke from the porch of what was then an Elks Club. Edwin and Joan Hantz have renewed the inn in a contemporary style while retaining historic touches. Joan, a graphic artist, decorated the guest rooms, six with double occupancy and two two-room suites that sleep four. Guests enjoy relaxing on the porch and watch the sun rise over the water and the harbor come to life. Parades pass by during festivals. The AAA 4 Diamond rated Berry Manor Inn is a luxurious bed and breakfast in a quiet residential neighborhood. The house was originally built by prominent merchant Charles Berry as wedding gift for his wife. It has been featured as an Editor’s Choice in Yankee Magazine and Samantha Brown’s Weekend show. 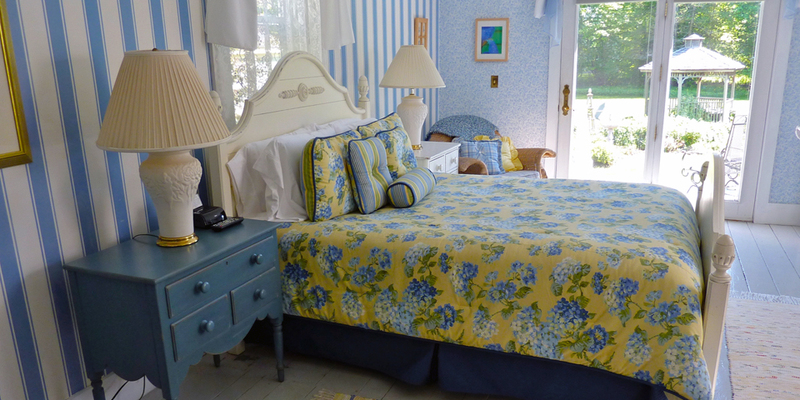 TripAdvisor named it one of the Top 25 Best B&Bs and Inns in the United States in 2013 & 2008. Innkeepers Mike LaPosta and Cheryl Michaelsen’s twelve spacious manor and carriage house rooms have a range of amenities including fireplaces, canopy beds, luxurious private baths, whirlpool tubs and fluffy robes. Common areas include a library with books, games, magazines, and DVDs. 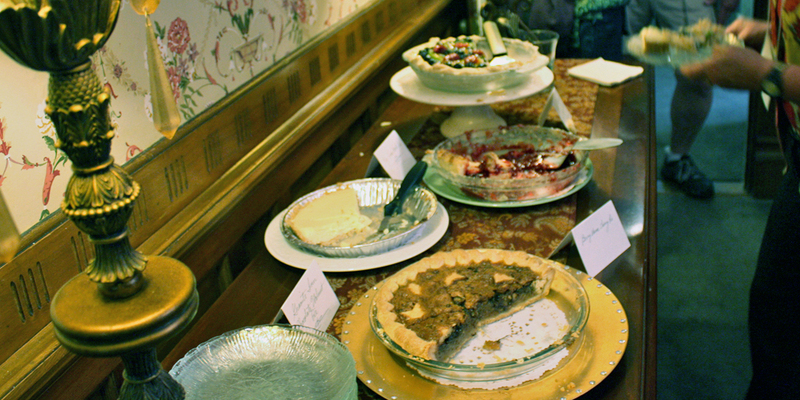 It became renowned for the homemade pies baked by their mothers, the “Pie Moms,”–who you may have seen on the Food Network and Dirty Jobs with Mike Rowe. The Historic Inns of Rockland offer a variety of special packages from late-January’s Pies on Parade, Lighthouse, Lobster & Luxury in June, and Land and Sea packages with two nights on land followed by a three day Windjammer cruise. During the holiday season see the lobster trap Christmas Tree and watch Santa arrive by boat at the a festival of lights. I’ve stayed at the Limerock but would love the others too! I’m sure you would! And a great setting, too. Rockland has so much to offer.